Phenol: Any molecule containing a benzene ring bonded to a hydroxyl group substituent. Not to be confused with phenyl group. The conjugate base of a phenol is a phenolate or phenoxide. Some phenol natural products. 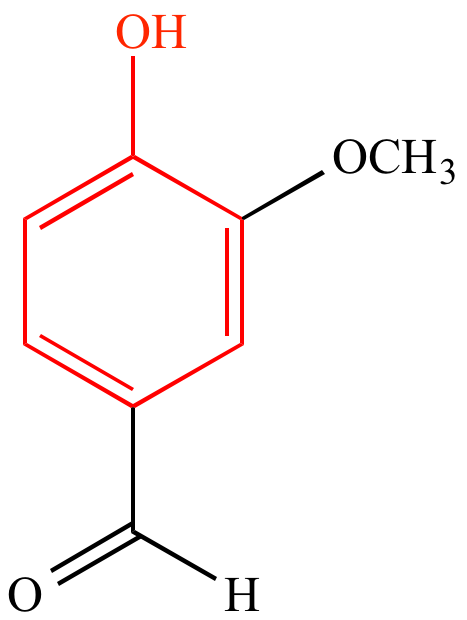 Phenol moiety shown in red. Vanillin, a natural flavoring agent.